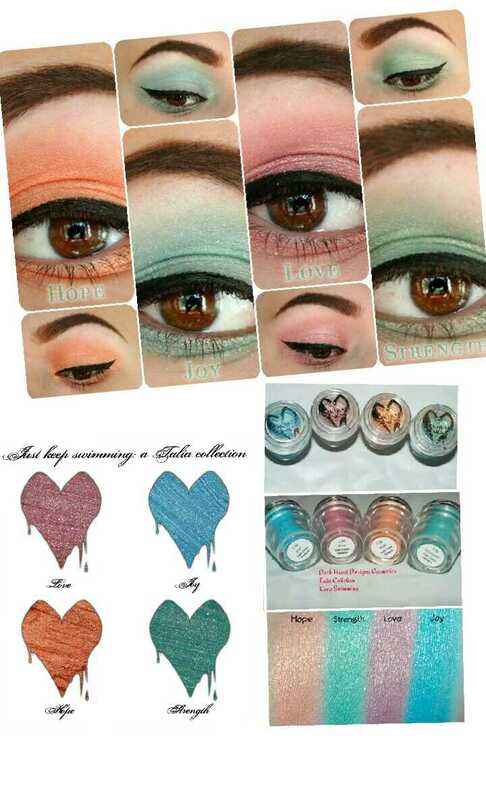 This collage is of our Just Keep Swimming: A Talia Inspired collection. The eye looks are by Heather Makeup Mouse and swatches by Face By Emily. It was created because of her bucketlist request to have a MAC collection. Unfortunately I am not MAC and we weren’t able to get it to her so that she could see it, but a portion of the sales goes to one of her favorite charities. A year ago today the beauty community lost a small person with a huge heart. In her short time here, she managed to inspire so many people. She gave them hope in a world that has too little. She taught them the meaning of strength and to find joy in things that inspire us. Talia created a legacy that lives on. One of love and faith. She showed everyone how much impact one person can have on so many. Today we remember and a life that deserves to be celebrated. Though she was gone far to soon, the legacy she left behind is timeless.